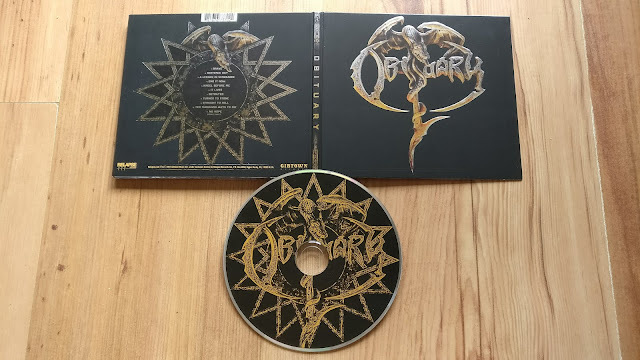 I must admit, in their recent years before this album, I'd not been overly wowed by much material Obituary had released. Sure, they could still kick out the jams, but nothing really grabbed me like their early stuff. When I heard they were releasing a self titled album quite so far down the line into their careers, I'll again admit I figured they were probably done for - doing a self titled album can either mean a band is treading water and lacking ideas, or it can be a fully focused crystallisation of what makes the band what they are. Thankfully, it was the latter - 'Obituary' is the best album Obituary has released in donkey's years. Well worth checking out if you - like myself - had become a little jaded with them.